Mumbai: DBS, Singapore’s largest bank and the world’s best digital bank, today concluded Hack2Hire, an initiative launched to identify India’s best coding talent, skilled in emerging and disruptive technologies across cloud, machine learning and Big Data. DBS Bank awarded prizes across 6 categories at the hackathon, and made job offers for developers to join the bank’s Hyderabad technology centre. The participant mix was diverse, from fresh graduates to experienced professionals. The coding challenge received more than 12,000 applications from candidates across many cities in India including Hyderabad, Bangalore, NCR, Chennai and Mumbai to name a few. 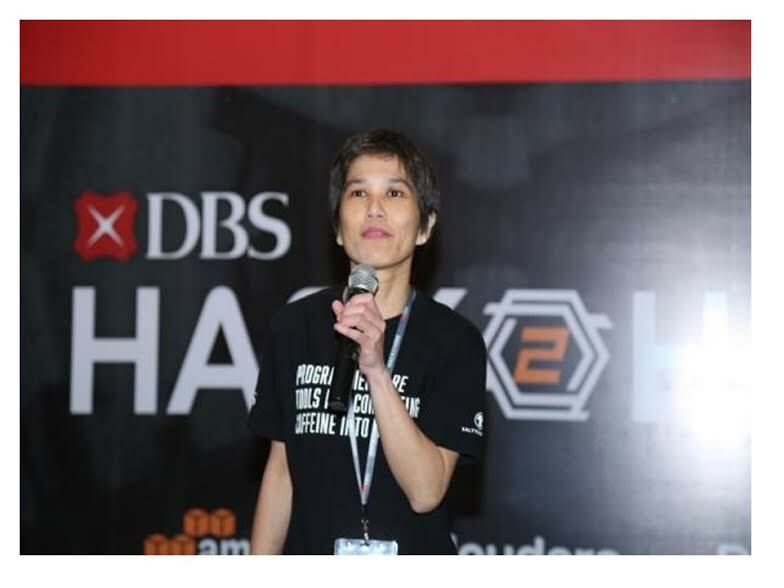 Siew Choo Soh, Head of Core Systems Technology, said: “I am impressed with the overwhelming response to the event and the quality of the ‘hackers’ we met during the 2-day event. The close interactions with them enable us to get to know them better and it also provides an opportunity for them to learn more about DBS and the exciting work we are doing to reimagine banking. We are looking forward to having the new hires on board to join us on our digital transformation journey”. DBS Hack2Hire, consisted of two parts – an online assessment challenge to gauge the technical capabilities of the candidates, followed by a 2 day hackathon where their approach to problem solving was put to the test. This included demos and presentations followed by interviews for full-time roles at DBS Asia Hub 2. The bank collaborated with leading technology providers such as Amazon Web Services, Cloudera and Pivotal for conducting the hackathon. Mohit Kapoor, Head DBS Asia Hub2, said “The response to the Hack2hire event and participation has been amazing. The teams put in their best shot and the winners took it all. I am delighted to congratulate the winners and am looking forward to working with this top talent as they join the workforce in a few months, and together we will shape the future of banking. “I am happy to be a part of Hack2Hire. I had an amazing experience and enjoyed the 2 days I spent at DBS. The challenges were thought provoking and we used the best of our strategies to win. I would love to be a part of DBS as I have enjoyed the way they work. I am impressed with their thought leadership,” said Desh Deepak from Agra. “It’s been a great journey for me. From the time we reached to the time we left, we just had something new to learn. I met several people from across the country and we worked together towards this win. We focused on creative solutions, great presentation and end to end thinking. I am very glad that I came here,” said Abhishek Singh from Kanpur. “Hack2Hire was a great experience. Strategizing, planning and coding were the main part of this challenge and I thoroughly enjoyed it. We faced a few roadblocks along the way but the good part is we enjoyed working our way out. I’ve got a glimpse of DBS’ work culture and they clearly encourage innovative thinking,” said Ashhadul Islam from Bangalore. DBS Bank is reinventing banking through constant innovation. It launched digibank, India’s first paperless, signature less and mobile-only bank in April 2016. Over the past few years, DBS has been deeply immersed in furthering its digital transformation agenda. This includes embarking on a comprehensive and holistic mission of building a start-up culture, re-architecting the bank’s technology infrastructure, and leveraging Big Data, biometrics and artificial intelligence to reimagine banking for its customers. It was also the first bank to be recognised as the “World’s Best Digital Bank” by prestigious financial magazine Euromoney in 2016. DBS Bank recently conducted a similar initiative in India named ‘Ideathon’ to identify talents from top business schools across India. This was part of the bank’s campus engagement and communication strategy, aimed to make DBS Bank the preferred place to work for millennial. DBS is a leading financial services group in Asia, with over 280 branches across 18 markets. Headquartered and listed in Singapore, DBS has a growing presence in the three key Asian axes of growth: Greater China, Southeast Asia and South Asia. The bank’s capital position, as well as “AA-” and “Aa1” credit ratings, is among the highest in Asia-Pacific.